100 Oakview Drive in Trumbull, Conn. July 6, 2017. Sale of the building has been finalized as a 202-unit apartment building has been approved for the property. TRUMBULL — The sale of an empty office building slated to become a high-density apartment complex has been finalized. 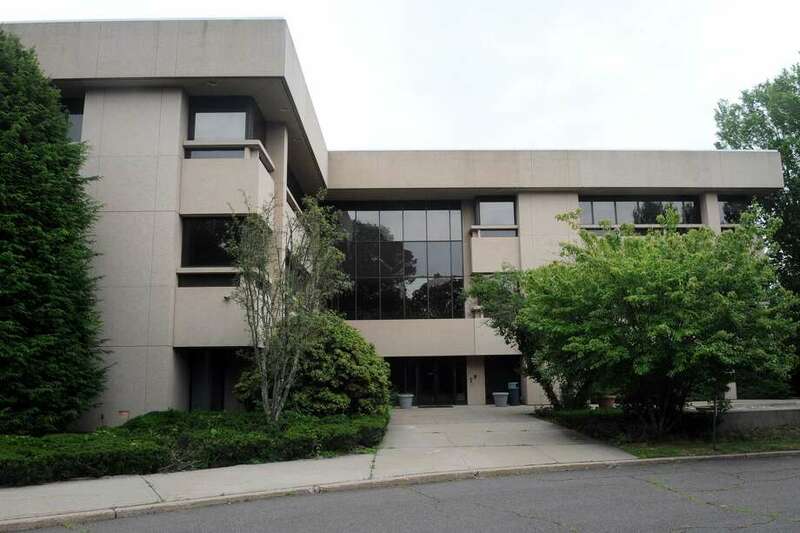 Branford-based agency O,R&L Commercial, which represented Canon USA, announced Tuesday the company’s former Trumbull headquarters was sold, making way for a six-building, 202-unit luxury apartment complex. The three-story, 79,000-square-foot space at 100 Oakview Drive was purchased for $4.5 million and is slated to be demolished for the residential development. "We are excited about the project because it’s a catalyst for some revitalization at that area of town,” said Trumbull economic development director Rina Bakalar. According to Bakalar, the office building had been vacant for more than two years after Canon Solutions America moved its operation. Trumbull’s office real estate scene has struggled over the years as vacancies continue to plague the market. According to a Cushman & Wakefield analysis of Fairfield County’s fourth-quarter leasing activity, Trumbull recorded the highest vacancy rate in the region at a little over 44 percent. New Jersey-based Continental Properties is planning to build the new apartment complex from scratch. The company, which previously opened The Mark apartments in Shelton in 2016, is expected to begin construction of the three-phase project in March. The project is expected to be unveiled in 2021. With an investment of $30 million, the project is slated to include 119 two-bedroom apartments while the rest will be single-bedroom units. Monthly rent is expected to range from $1,600 to $2,000. Plans for the community also included an outdoor pool and recreation space and a 6,400-square-foot clubhouse with a fitness center. According to Bakalar, the new apartment complex will provide a needed boost to Trumbull’s housing options.